The Highest Quality Buildings in Middle Tennessee! 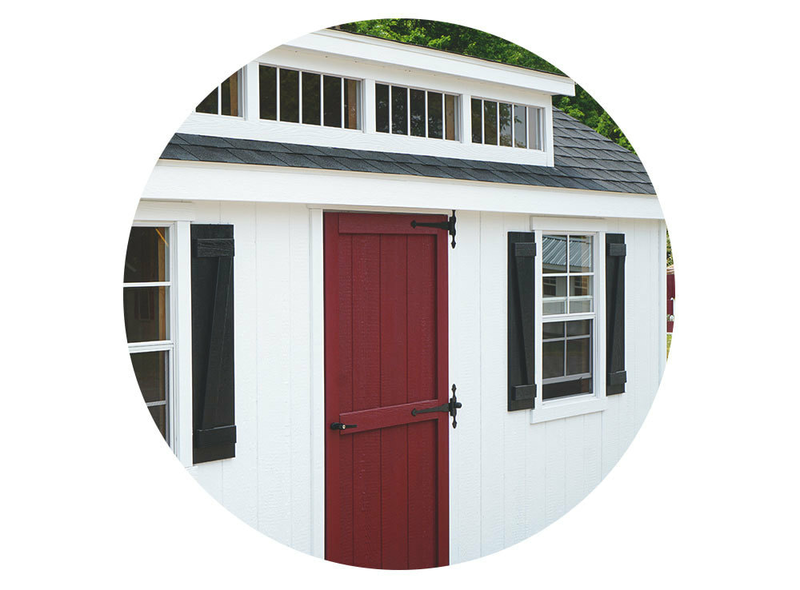 All of our storage sheds and garages are Amish-built in the USA and we can confidently say that you will not find a higher quality product in the greater Nashville area. 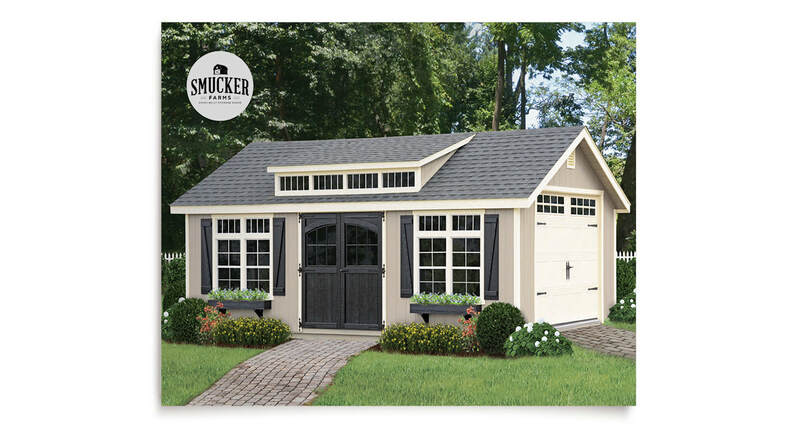 We have hand selected the finest Amish Craftsman in the country to give you the best product possible. We encourage you to stop by our lot and see for yourself! The A-Frame Shed is a classic look that never goes out of style and is our most popular offering. 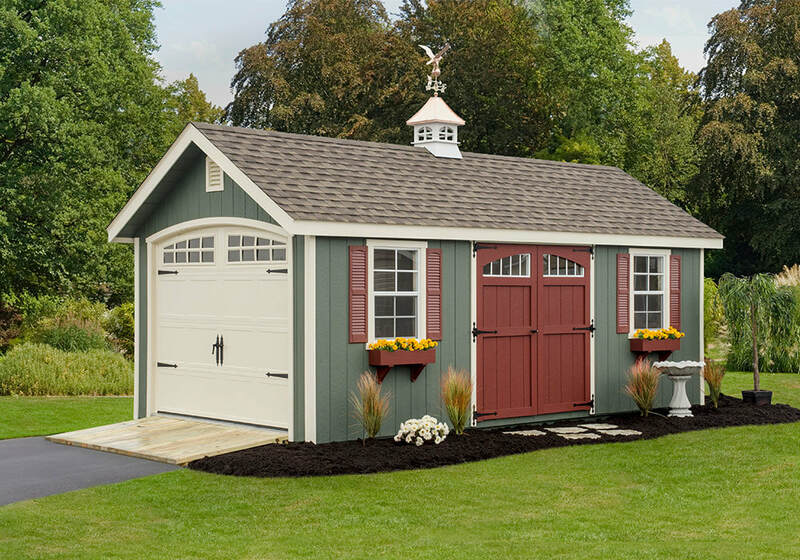 Our Garages are a great option to store a vehicle if needed and come specially designed to support the additional weight. 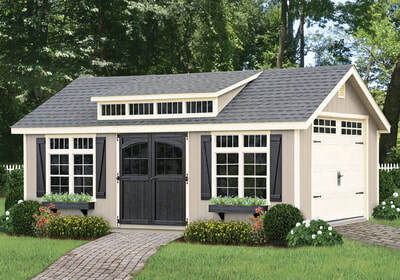 The Dutch Barn offers a traditional barn style with a lot of additional overhead storage space. The Quaker Shed has an offset roof pitch for a unique but very functional barn style. Customize the layout of your building by adding shelves, lofts, ramps, or additional windows and doors. 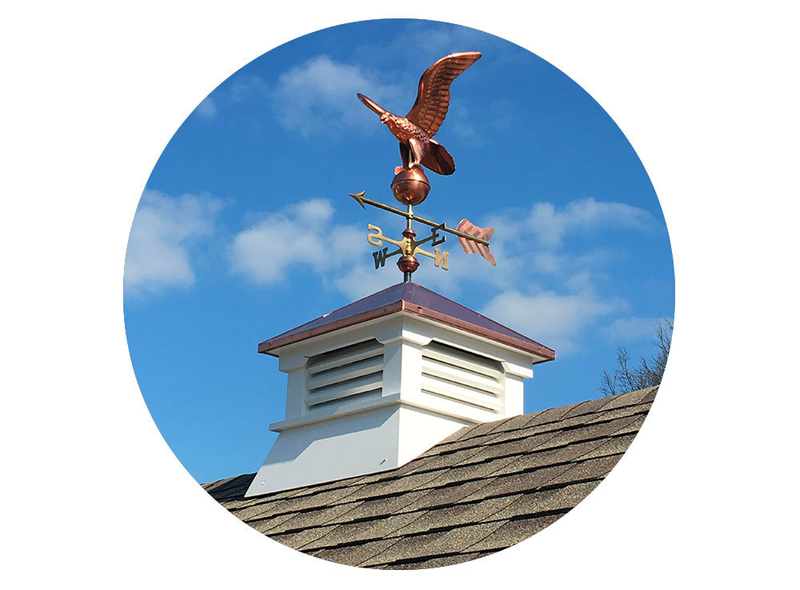 Select up to 3 different paint colors for your building as well as a color option for your shingle or metal roof. Bring your shed to life with different shutter options, flower boxes, cupolas, weathervanes, and hardware. 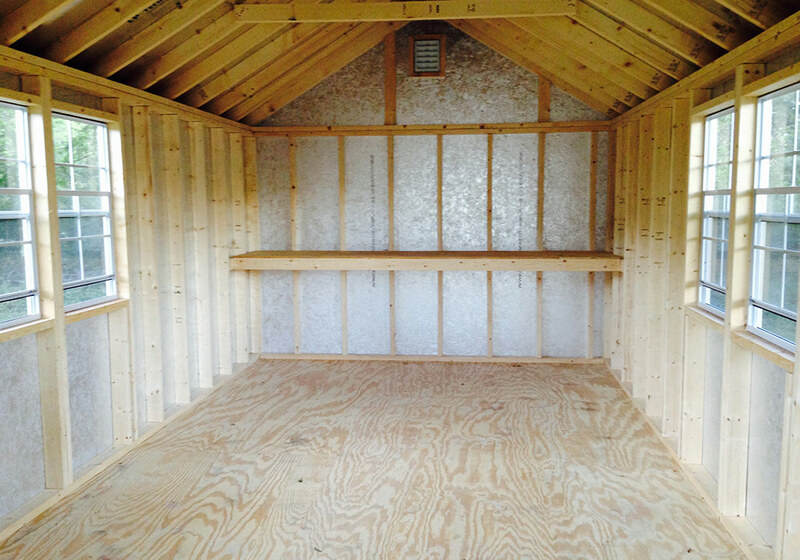 Q: If I want to customize a storage shed, how long will it take? A: Our lead times are typically 4-7 weeks from the time you place your order. We require at least 50% down to secure your order and the other 50% upon delivery. 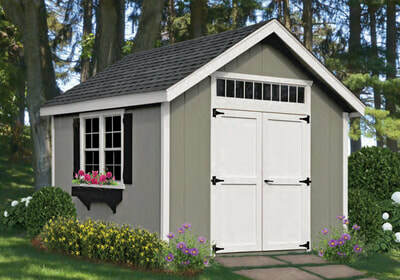 We also have storage sheds in-stock and available for immediate delivery. Check out our ​in-stock page for more info. 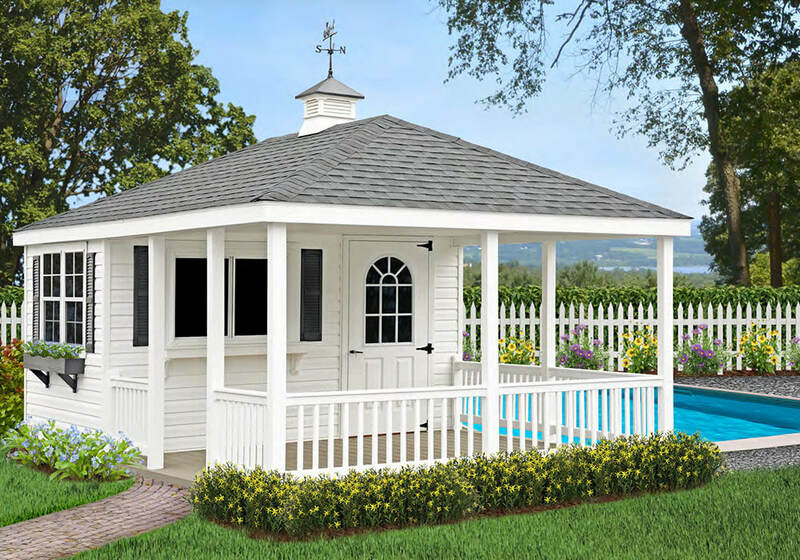 Q: How will you get the storage shed into my backyard? A: We use a specialized machine called "The Mule" to deliver your building. It is designed to reduce the clearance needed and also minimize any tracks or damage to your yard. Q: What site prep is required for my building? A: We always recommend that you put your building on a gravel pad. It will allow proper drainage and keep your building dry. 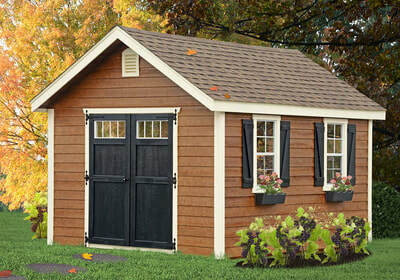 It will also keep those pesky critters from making nests under your shed. For all site prep needs, we recommend contacting Bedrock Siteworks. They warranty their work for up to 5 years, and if you put our building on a proper pad we will warranty the building for the first 10 years! 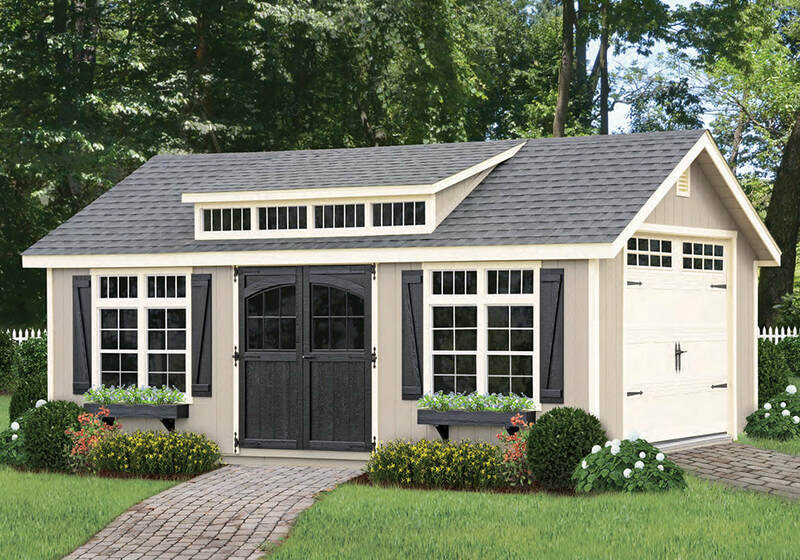 We understand that purchasing a storage shed or garage is a big decision, but we are here to help every step of the way. At Smucker Farms, you'll experience a personable and low-pressure environment where you can freely browse and ask questions. Thank you for considering Smucker Farms and supporting a small family-owned business like us. We would love the opportunity to meet you - so please stop by or give us a call. View our in-stock page to see what's currently available for immediate delivery. For specific pricing, please call or stop by our office.